Wista led floodlight/ led flood light is a very popular product series of led outdoor lighting exporting to the USA. 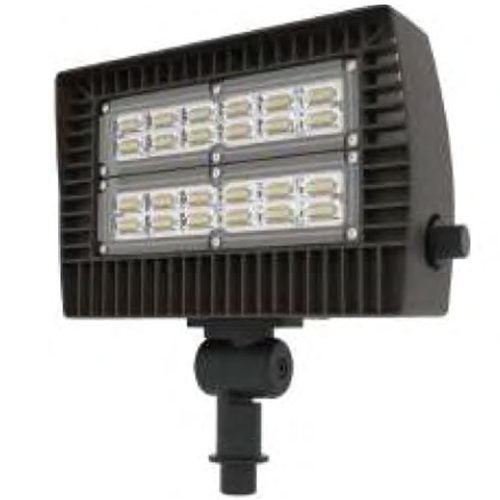 This 50w led flood lights for sale mainly used as led parking lot light, led aquarium lighting, led garden lights, led garden flood lights, led backyard flood lights, led area floodlights and other outdoor led flood light fixtures. 110.5LM/W efficacy, 0-10V dimmable, ETL and DLC listed are the drawing advantages for users when they buy LED flood lights bulk. Wista 50W LED floodlights supplier produces flood lights fixtures with these advantages to meet your needs. Wholesalers can email or call us to make an order, and we will give a better price based on the flood lamp model and wholesale volume. Besides this 50w led flood light wholesale, we can offer OEM service. 20~1000W led flood light is available. Meanwhile, provide custom private label and logo service. Selective colors: Black, White, Dark brown, and customized color. High-grade Aluminum ADC12 ensure flood lights heat dissipation2. Polycarbonate lens from Mitsubishi material for better UV protection and light distribution. High flood light luminaire, energy saving, and a 5-year warranty. Direct factory price & be delivered within 7days. The free sample will be offered. If you want to know more about our led parking lot lights, pls contact us now! Our sales will reply to you as soon as possible!